How are you today? First Monday of Spring but I’m here today to talk you about the past weekend. I went to the Basque Country for a brief visit; we did’t have much time but we got the best out of it. We stayed in Tolosa, a small town located in the region of Guipúzcoa and 30 minutes away from San Sebastian-Donostia. One of the most typical things to do in this type of villages is dining out at the so-called “sidrerías” which I would described as cider houses. They are restaurants in which you get the chance to drink so many different types of cider while you enjoy a surely wonderful and filling meal. The menu is usually the same one, regardless which sidrería you chose, and it’s also served following the same order everywhere as well. This time we decided to give it a go to Isastegi Sidrería and it turned out to be actually pretty good plus it looked really cute all surrounded by the green countryside. Anyway, after this short introduction, let’s get started! First thing after your arrival, you’ll be asked to grab a glass and go for some cider sips. Yes, you have to get up and serve yourself from the different “kupelas”, this big barrels you can see in the photograph, every time you feel like drinking. This might sound disturbing or annoying at first, but it’s actually the funniest part because you get to chat with so many different people and also to learn some typical songs if you are lucky! When you are not up here drinking and chatting with everyone, you’ll be served the following menu. Firstly it’ll comes the codfish omelette. It’s probably the simplest dish of all but I’ve attempted to do it home more than once and I cannot manage to get it as juicy and soft as the original. There must be a well-hiden trick. Right after the omelette, it comes the fried codfish. Yes, codfish again haha. However, it comes with a bit of green fried pepper on top which really makes a difference. I can assure you it’s absolutely delicious. You won’t mind eating codfish again at all! Once we are done with the fish, it’s time for The Meat. Get a few sips of cider first because you’ll need some liquid to eat the next dish: the chop. Such high-quality meat that I thought a video would do it more justice. It’s just a big grilled chop with a bit of sea salt on top. However, it’s usually the most requested and desired dish. 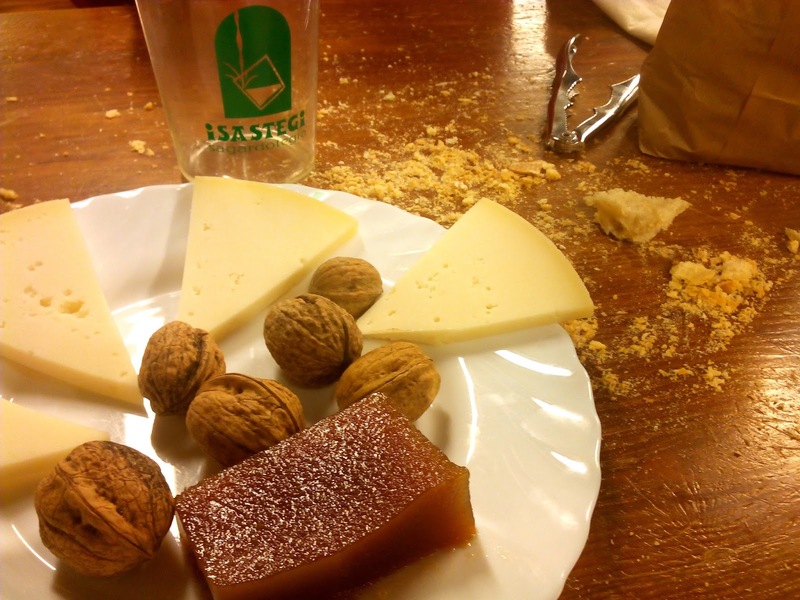 The typical dessert consists of a few pieces of a local sheep cheese called Idiazabal cheese with walnuts and quince. These three match perfectly together, you’ll see! Local Idiazabal cheese with walnuts and quince. I was, of course, more than full after eating all these exquisite dishes but we had such a great time that I am looking forward to next time. Definitely give it a go if you are ever around! 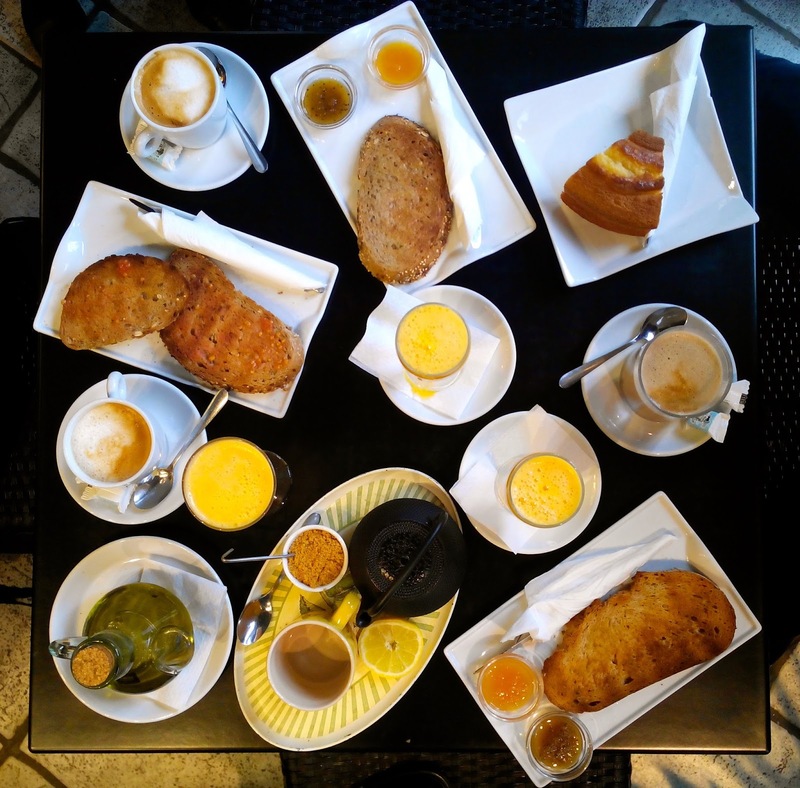 I must as well say that even though we were still full from the previous day, we went on eating deliciousness during Sunday, starting with a great breakfast and continuing with some Pintxos or Tapas in San Sebastian. 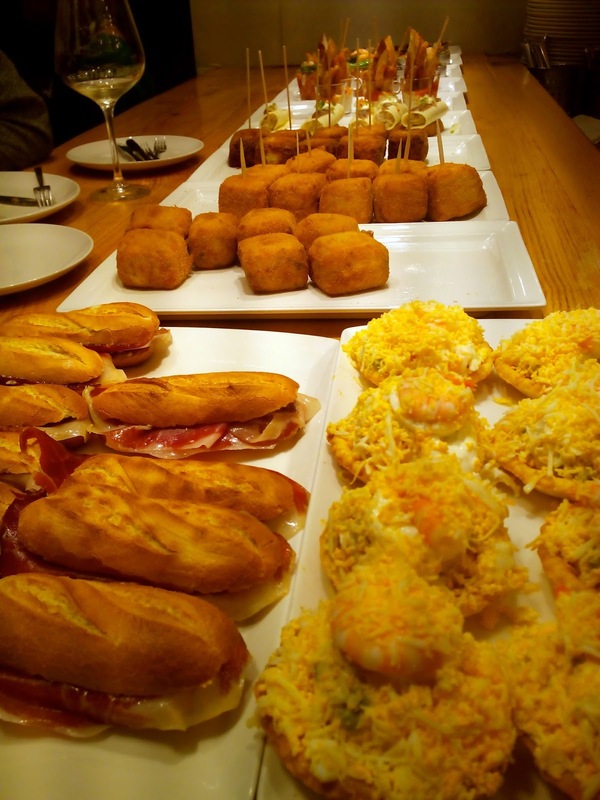 Pintxos at San Sebastian in a Sunday morning. Such a great weekend, wasn’t it? I hope yours was at least as good as mine and feel free to comment or send me some pics about it. I’d love to see them. 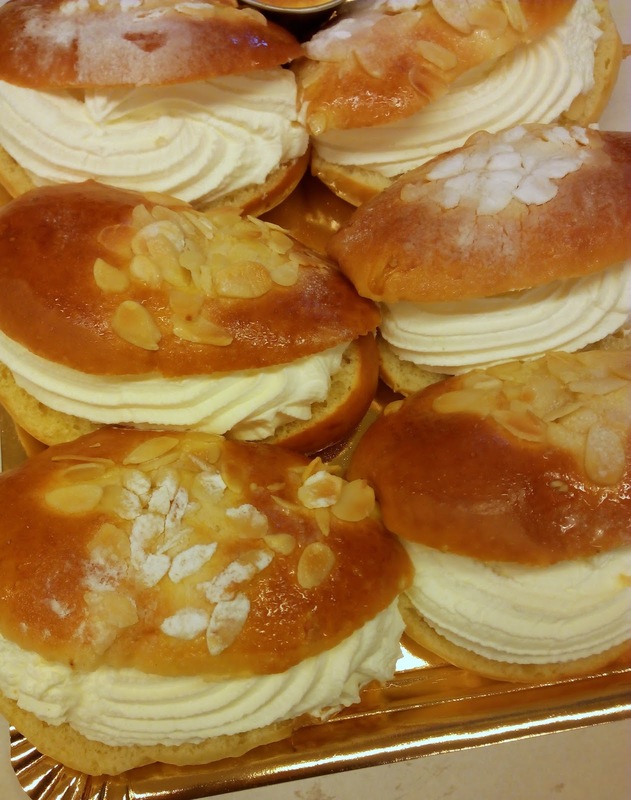 Have a nice week and eat loads!